Plans to build a picket fence trundle bed. 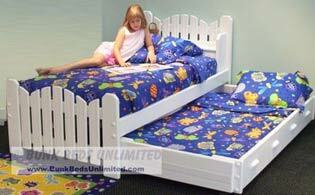 This bed is a great alternative to a bunk bed and is simple to build. 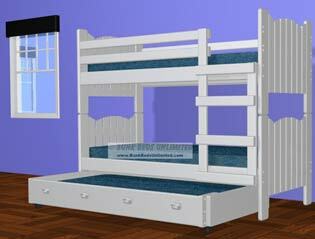 Plans for the picket fence bunk bed are coming soon.